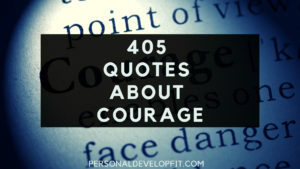 I wrote this post as a way to remind myself of what courage is. To help myself harness the power of it. And to move forward with my goals and dreams with boldness. And to give myself my own definition of courage. Redefining it along my journey through this thing we call life. To help me act in spite of fear. To move forward boldly into the unknown. And come out triumphant. To walk through the valley of shadows of death. But with courage, be able to see the end of the valley. And because of this fact, I can make it to the end successfully. And better yet, transformed into an entirely new human being. I hope this article helps you on this journey through life. And it helps you realize that you have courage coursing through your veins. That you can do anything you wan to do in this life. 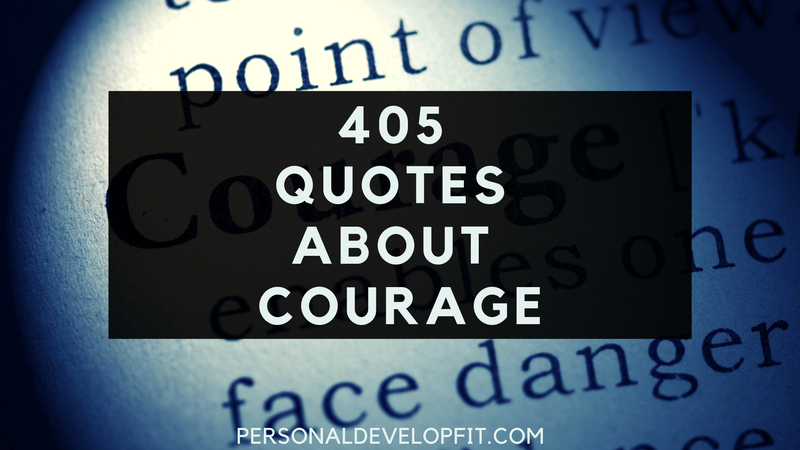 And that some or all of these quotes spark the courage inside you that you need to push on. To accomplish your goals. To win the heart of someone you love. To create a better relationship with your current lover. To pursue the body of your dreams. To manifest riches and wealth. And to leave a legacy that stems back from you choosign to act courageously in your life. Share with me your favorites at the end in the comment section below. “We must build kikes of courage to hold back the flood of fear.” – Martin Luther King Jr.
“Courage is the power of the mind to overcome fear.” – Martin Luther King Jr.
“Mountains piled on me, I would hang, exercise faith, and keep up good courage, and I would come out on top.” – Joseph Smith Jr.
“Never be discouraged. If I were sunk in the lowest pits of Nova Scotia, with the Rocky Mountains piled on me, I would hang on, exercise faith, and keep up good courage, and I would come out on top.” – Joseph Smith Jr.